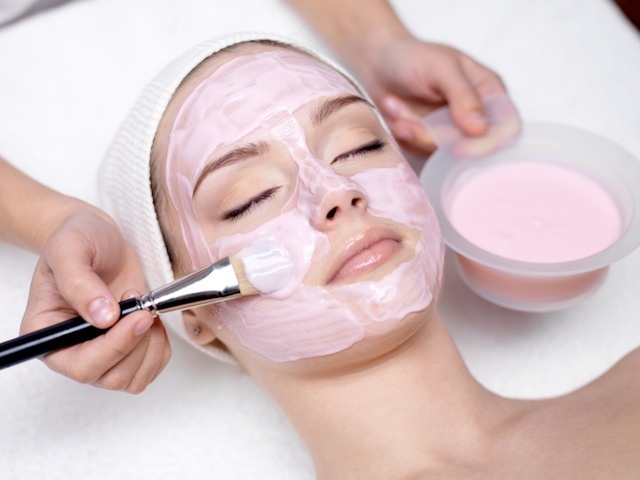 Everyone loves to feel pampered, and a good facial does the trick. With so many options to choose from, it might seem overwhelming at times to figure out which one will not only be the most pampering, but also the best for your skin. Knowing all there is to know about facials, take a look at the tips below on what you should be doing to get the best out of your facial. 1. A facial does more than help you relax: We know that facials are supposed to help you relax and get you one step closer to radiant skin, but did you know that your facial works on the inside too? Facials can help circulation in your blood cells – the oxygen helps open blood vessels thereby increasing circulation. 2. A DIY facial is just as good: Lets be honest, facials don’t always come cheap. So if you’re looking to pamper your skin, but you don’t want to break the bank, pull out some products from your own kitchen and try a cheaper and much tastier alternative. 3. Get the real deal on chemical peels: Chemical peels have worked wonders for some, but others not so much. When getting a chemical peel or inquiring about one, keep in mind that if you have a history of skin scarring and irregular pigmentation a chemical peel might not be right for you. 4. It’s okay if you’re left a little red: Redness isn’t always a sign that something went wrong during your facial, most times after your skin has been prodded and pampered, its natural to experience a little redness and irritation afterwards. Skip makeup for the rest of the day, and give your skin room to breathe. 5. Got Milk? : Do facials leave your skin looking dry? Well don’t worry, if you have extremely dry skin a facial might not always give the moisture your skin needs. Try a milk bath by adding some milk into your bath and take a dip. The lactic acid in milk is a good skin conditioner. 6. Massage your face right: A facial isn’t complete without a good facial massage. Always make sure you’re getting the best out of your massage. Be certain to apply pressure to the accupressure points on your face. This helps reduce wrinkles and almost acts like a facelift, but without the knives. 7. Drink up: Hydration is key to good skin, so before you get a facial it’s recommended that you drink enough water to give your skin a healthy glow and brighten up your complexion. 8.Wait a minute: We might think that a facial the day of a big event is best, but it’s much safer to schedule your facial a couple days before your big event, to stop redness and irritation from competing with your makeup. 9. Pick the best spa: There are a ton of options out there, but choosing the right spa is almost as important as the facial itself. A clean and relaxing spa will ensure the best possible service. 10. It all starts with good skin: No matter how many times you might be getting a facial, if you are not taking good care of your skin, there’s no point. Invest in skincare products that will help your skin before it’s time for your next appointment.